Minimal Rustic Necklace with a flash of sparkle & color. We completely fabricate the pendant in our studio. The 14k gold circle is hammered for interest. 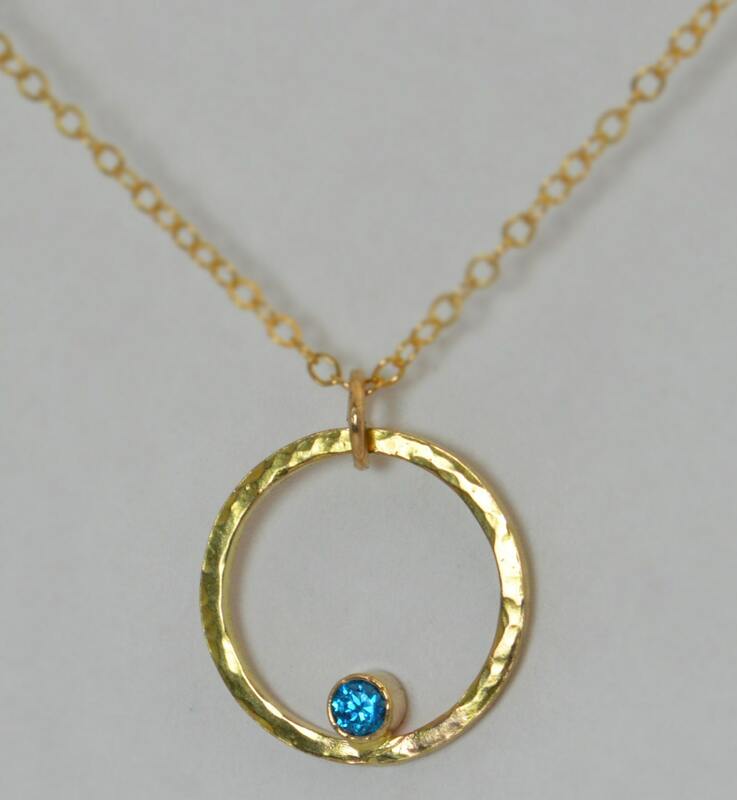 The 3mm Blue Zircon is tube set and nestled inside the circle. You can choose to add up to two more birthstones to this pendant for the perfect gift for mom, sister, aunt, grandma. - High quality 14k Gold Chain. - Perfect on its own or as a layering piece. 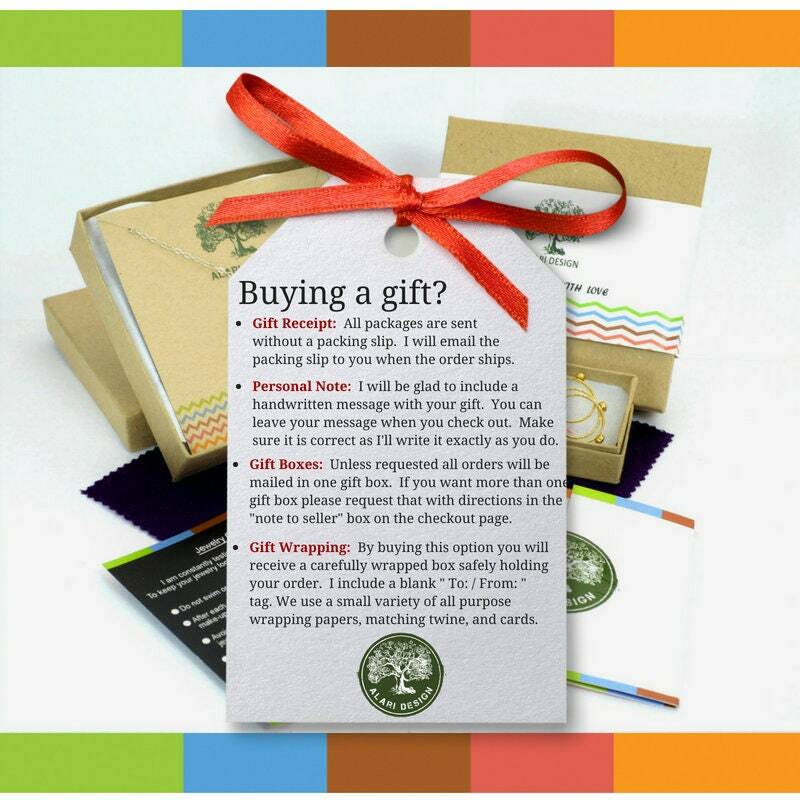 - Comes in a beautiful rustic package ready for gift giving. 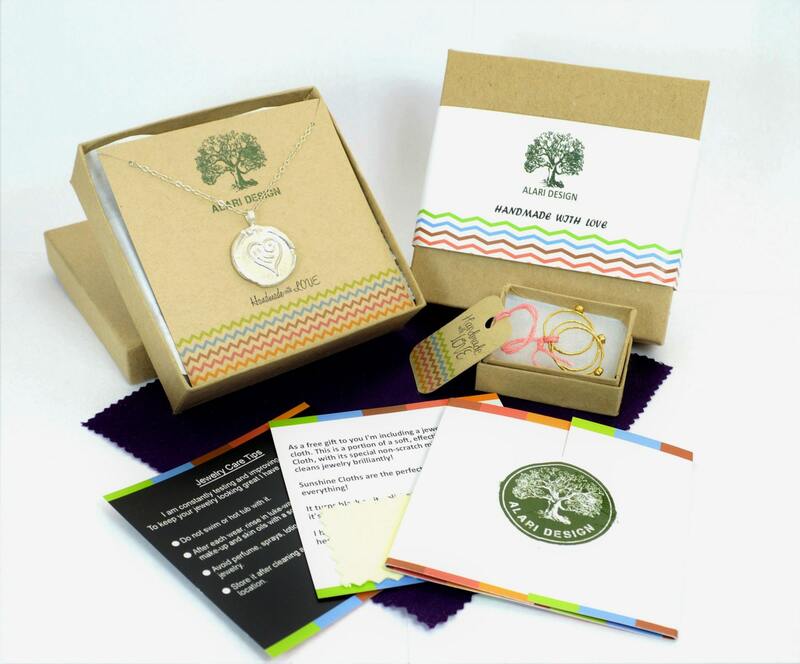 ***If you purchase additional birthstones please list your choices in the "note to seller" box at checkout. Natural Turquoise is available for $4 extra send me a convo. 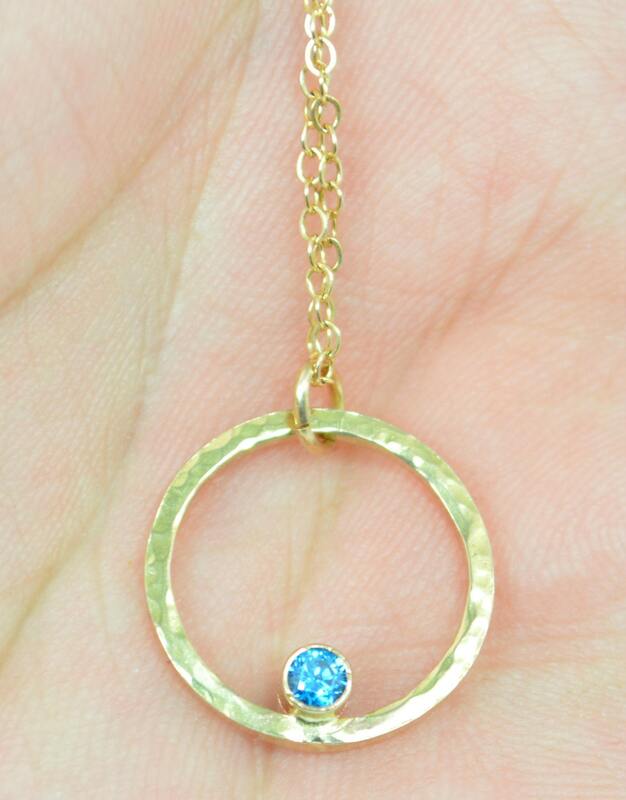 • Order up to three 3mm birthstones for this pendant. • Each necklace is unique. All orders are made by hand in my Tehachapi, California studio. I offer a lifetime craftsmanship warranty on all of my jewelry. I want you to love your jewelry as much as I love making it!